The Adobe Foundation,Walter & Elise Haas Fund and William, Emmet R. Quady Foundation, Epispace Foundation, Doris Duke Charitable Foundation, Fleishhacker Foundation, Ken Hempel Fund for the Arts, The Kenneth Rainin Foundation, The Koret Foundation, National Endowment for the Arts,, San Francisco Arts Commission, San Francisco Grants for the Arts/Hotel Tax Fund, San Francisco Mayor’s Office of Economic & Workforce Development, Violet World Foundation, William and Flora Hewlett Foundation, Zellerbach Family Foundation, Zendesk Neighbor Foundation, and CounterPulse members. The 80 Turk Project has been generously supported by CHASE Bank, EPISPACE Foundation, Northern Community Loan Fund, Sakana Foundation, San Francisco Arts Commission, San Francisco Grants for the Arts/Voluntary Arts Contribution Fund, San Francisco Mayor’s Office of Economic & Workforce Development, The Kenneth Rainin Foundation, Violet World Foundation, Walter and Elise Haas Foundation, William and Flora Hewlett Foundation, and ZenDesk. 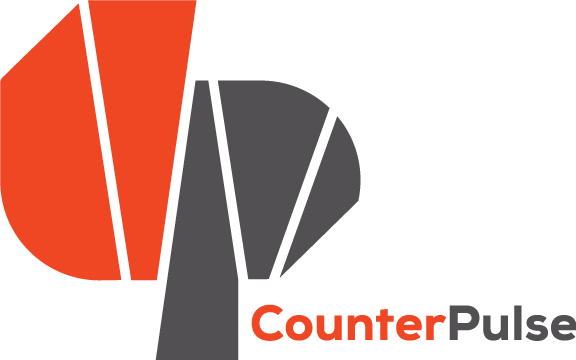 Special thanks to the CounterPulse Board of Directors and all our generous individual 80 Turk Project supporters. The 80 Turk Project is made possible with the partnership of Community Arts Stabilization Trust, Jensen Architects, NCR Construction, Northern Community Loan Fund, and Ventura Partners.